Beach Birthday Party- Another example of the lighting that was used all over the room. 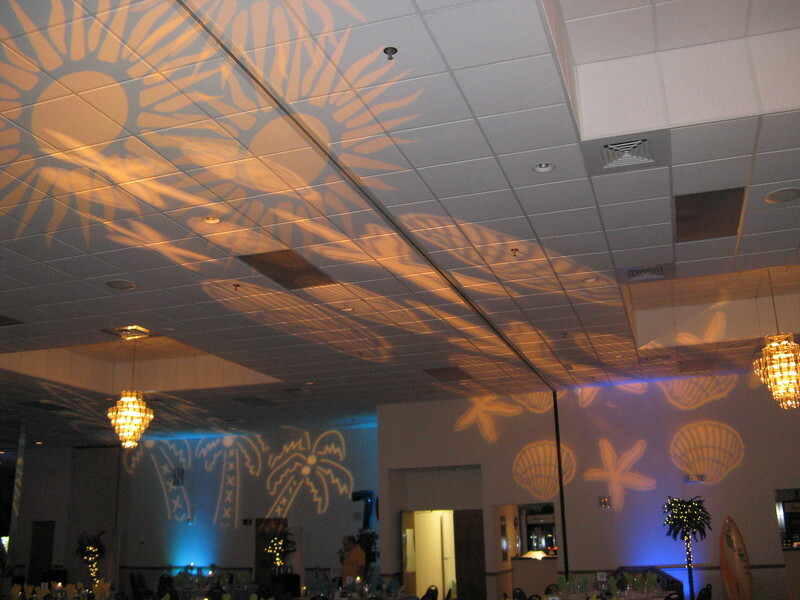 The shells, sun and palm trees looked great with the lights down. The uplighting in blue and teal was spectacular. Lighting by Awesome Audio.